The only provision concerning librarians in the Lacy-Zaroubin Agreement appeared in Section XIII (2) & (3), wherein more scientific and technical publications would be exchanged between the United States and Soviet Union, and that provisions would be made for the exchange of medical publications between the chief medical libraries in both nations. But this was not satisfactory to professional librarians in either country, particularly those on the International Relations Committee of the American Library Association (ALA). The first agreement had allowed for the exchange of 170 delegations, each with about 10 people, and U.S. and Soviet governments began making plans to negotiate a new cultural agreement in 1959 (Special to the New York Times 1959, 1; “Those ‘Cultural Exchanges'” 1959, 30). One delegation from each side comprising five to seven persons for up to four weeks between the American Library Association and appropriate Soviet organizations to visit libraries and bibliographic centers and also to study (1) bibliographic techniques, compilation of indices and other techniques of library documentation and analogous processes; (2) methods of reproduction and dissemination including the operation of specialized libraries and centers; and (3) methods of training library personnel, establishment of the level and organization of technical processes. It was not entirely what the ALA had hoped for, necessitating visits to fewer libraries in less depth and with the official purpose of the exchange narrower than those proposed (Ruggles and Swank 1962, 2-3). Due to a series of delays and complications, the exchange visits were postponed until 1961. During the 1940s and 1950s, an interest in international cooperation and understanding took hold among librarians around the world, and the International Federation of Library Associations (IFLA), established in 1929, gained more influence in the library community. Flora Belle Ludington, who served on the ALA’s Board of International Relations and as President of the ALA during this period, proclaimed that librarians could be effective agencies in the “battle for peace” via the mobilization of ideas, materials and people (Ludington 1951, 37). By 1957, the Soviet Union had joined IFLA, which it had ignored since its founding, and began sending Soviet librarians abroad (Karetzky 2002, 278). This shift in professional interests undoubtedly helped pave the way for the cultural exchange of librarians in 1961. Several motivations of the American librarians for the exchange fit well within the larger goals for cultural reciprocity and people-to-people exchanges. First, according to their proposal to the State Department, they hoped to ” contribute significantly to the betterment of relations between the two countries, thereby contributing to a lessening of international tension.” Second, the visits might help to convey the principles of the American way of life, since “American libraries, public and academic, with their traditions of free communication of ideas, are among the best mirrors of American democratic principles.” Third, like members of many other professions who had and would participate in these exchanges, American librarians hoped to learn about and from their Soviet peers and promote the exchange of information between Soviets and Americans (Ruggles and Swank 1962, 1-2). Undoubtedly, the Soviet librarians, whose lives and careers were far more aligned with their government than their American counterparts, had similar motivations to those of the Soviet government. But in addition to these, the American and Soviet librarians also “regarded their missions as being primarily the improvement of libraries in the service of their respective societies and the strengthening of mutually beneficial relations between the libraries and the librarians of the two countries” (Ruggles and Swank 1962, 9). 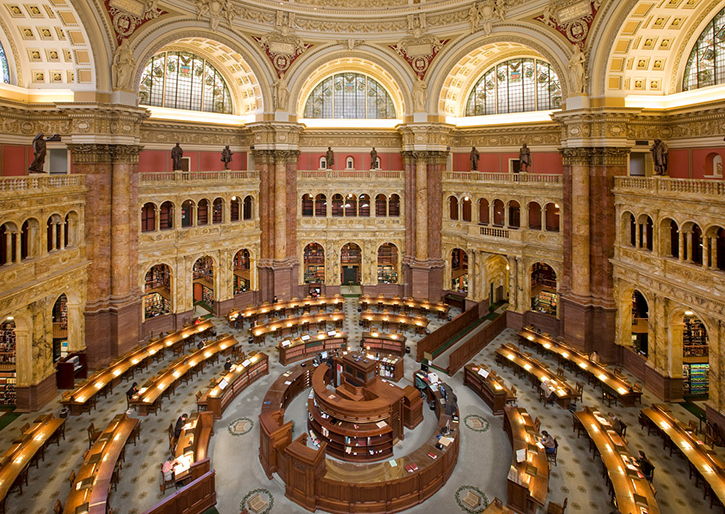 The main reading room of the Library of Congress, which looks much the same as it would have in the 1960s. (Chief of Main Library Inspection of Ministry of Culture of USSR). He was accompanied by Irina Iurevna Bagrova (Head of the Reference and Bibliographic Department of the Lenin Library at Moscow), Viktor Mikhailovich Barashenkov (Director of the Saltykov-Shchedrin Library at Leningrad), and Lev Ivanovich Vladimirov (Director of the Scientific Library of Vilnius State University in Lithuania). Over a period of four weeks, the delegation visited all types of libraries and bibliographic centers in Washington D.C., New York City, Boston and Cambridge, Cleveland, and Chicago. The Library of Congress, the U.S. Department of Agriculture Library, the New York and Chicago public libraries, and the U.S. Book Exchange were some of the major institutions of professional interest. They also toured library schools and the headquarters of the ALA and the Special Library Association. The American hosts considered the visit to be a success and they received several polite letters from the Soviet delegation following the visit which corroborated their conclusion (Ruggles and Swank 1962, 4-6; Gavrilov and Bagrova 1963, 341). The map contains several of the key locations visited by the four Soviet librarians during their tour of United States library institutions, though it is only a fraction of the sites that were toured. A visit to the West Coast was originally scheduled, but it was cancelled by the delegation, so they only ventured as far west as Chicago. Click “view larger map” for the full list of locations or simply zoom in on each city. 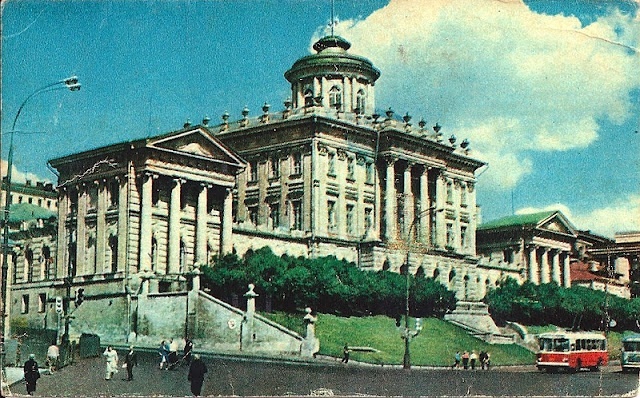 A postcard of the Lenin State Library, 1970. Seven American librarians visited the U.S.S.R. on the heels of the Soviet delegations tour of United States libraries. The delegation included David H. Clift (Executive Director of the ALA), Frances Lander Spain (President of the ALA and Coordinator of Children’s Services of the New York Public Library); Sallie J. Farrell (Field Representative of the Louisiana State Library); Emerson Greenaway (Director of the Free Library of Philadelphia and former president of ALA); Rutherford D. Rogers (Chief Assistant Librarian at the Library of Congress); Melville J. Ruggles (Vice-President of the Council on Library Resources); & Raynard C. Swank (Director of ALA International Relations Office and Director of Stanford University Libraries). Accompanying the delegation on their tour of the U.S.S.R. was Vladimir Orlov (Executive Secretary of the Lenin Library). The group visited more than 40 libraries, book chambers, and other institutions of professional interest in Moscow, Tula, Kalinin, Leningrad, Rozdestveno, Kiev, Borispol, Tashkent, and Samakand, traveling some 5,500 miles in all within the Soviet Union. The toured institutions included the Lenin State Library in Moscow, which was the Library of Congress’s Soviet counterpart, the Saltykov-Shchedrin Public Library in Leningrad, and the Uzbek State Library (now the National Library of Uzbekistan) (Ruggles and Swank 1962, 6-7). This map shows a few of the sites visited by the seven American librarians in 1961. Though they visited over 40 different libraries and cultural institutions, only seven major locations are shown here. A line shows the boundaries of the Soviet Union as it was in 1961. For the full list of locations, click “view larger map” or simply zoom in on the four cities to see them. At the end of the Moscow visit, the two delegations convened to discuss their impressions of each others libraries and library practices. The heads of the respective delegations spoke on behalf of their colleagues, Mr. Gavrilov for the Soviets and Mr. Clift for the Americans. Both groups, by agreement, frankly expressed the adverse and favorable impressions they had gained from their visit (Ruggles and Swank 1962, 7-9). 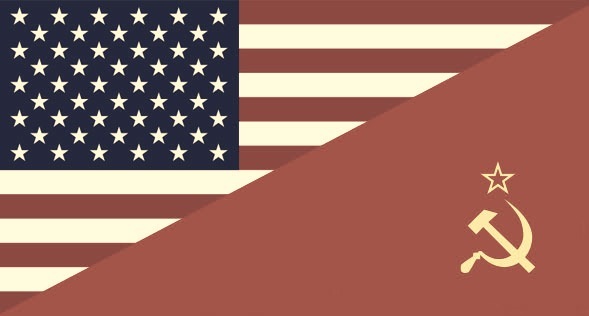 In concluding we would like to stress that the personal contacts established between American and Soviet librarians as a result of the exchange of delegations can and should continue to develop. Despite the difference in their initial ideological positions, librarians of the USA and the USSR have many professional interests in common, and further mutual study of the work of each other’s libraries can be of value to both sides. It would seem that these relationships did continue, at least somewhat. In the months following the exchange visits, there were numerous useful exchanges of information between members of the U.S. and Soviet delegations (Ruggles and Swank 1962, 120). And in 1965, Vladimir Orlov, who had accompanied the American librarian delegation on their tour of the U.S.S.R., gave an address on the state of Soviet libraries at the ALA annual conference (Orlov 1966, 648). To librarians, the most significant result of the exchange visits of 1961 was perhaps the opening of communication channels between librarians in the United States and the Soviet Union.